Spanish brand Cordoba is one of the most popular classical guitar makers in the world. It has paved the way for nylon strings to be sought after rather than shelved or hated altogether. Cordoba has only been around since the late 1990s, but the influence it made in the world of acoustic guitars is beyond recognizable. Thanks in large part to its guitars that are carefully crafted in quality and craftsmanship. It earned itself the number 9 spot in our best acoustic guitars roundup. 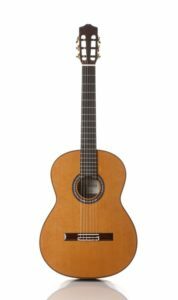 The Cordoba C9 is one hugely lauded classical guitar in its Luthier series that boasts a perfect fusion of traditional artistry and modern technology. This guitar has a couple of variations, including a parlor guitar, a crossover, and full-size traditional model. In this review, we are talking about the full-size traditional C9 CD/MH variant. Where does it stand in the market today? And how is it as a classical guitar? Starting off with the choice of tonewood. Cordoba wants it distinct and out of the ordinary. The Cordoba C9 CD/MH rocks a handmade solid Canadia cedar top and solid mahogany back and sides. The soundhole is surrounded by a hand inlaid mother of pearl rosette. Everything is coated in a natural high gloss finish from the bottom to the top. Inside the body is a fan bracing that you would often see in most classical guitars. On the headstock is a set of Cordoba’s premium gold tuners and a two-way truss rod wrench. On the other hand, the neck is made from mahogany covered in a gloss finish. The neck profile features a comfortable C shape. The neck houses a flat rosewood fretboard with a set of 19 frets and an Indian rosewood bridge with bone saddle. As mentioned, there is a perfect fusion of both old and new in the Cordoba C9 CD/MH guitar. Thrown into the mix are extra touches of class, including a pearloid/ebony rosette and wooden purfling around the body. Talking about nylon strings, the Cordoba C9 CD/MH rocks a set of Savarez Cristal Corum strings. Nylon strings are lighter than steel strings, allowing the soundboard to vibrate and resonate more freely. The fan bracing pattern also contributes to this. A more responsive soundboard delivers higher volume and better tone. In fact, the Cordoba C9 CD/MH is a concert-level guitar on its own. The solid cedar top and mahogany back and sides bring a well-rounded warm tone, which is perfectly balanced from low to the highest registers. It is mellow, but it is still defined. This makes it a versatile nylon-string acoustic guitar because it allows you to play in a range of playing styles. The Verdict: Should You Buy Cordoba C9 CD/MH? 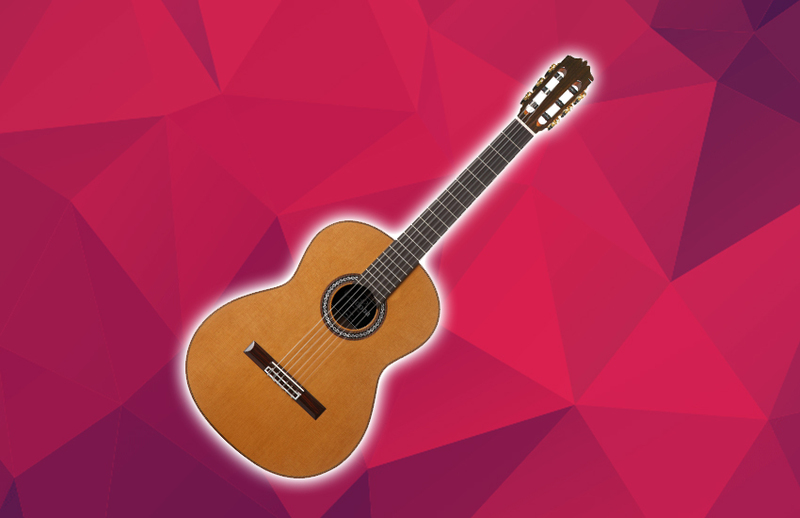 The Cordoba C9 CD/MH is not your typical classical guitar. 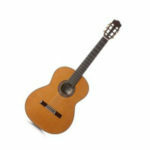 It is hand-made in China as the other guitars in the Luthier series; it is built with quality and performance in mind. And the best thing is it only costs under $1,000. In terms of the benefit-cost ratio, you can never go wrong with the Cordoba C9 CD/MH.